« Did Nordic Bronze Age tribes copy Egyptian stools? 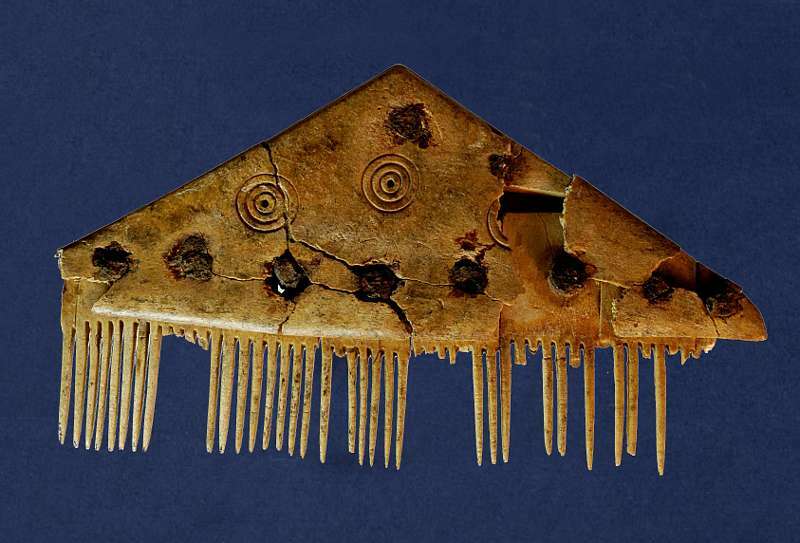 Archaeologists excavating the Iron Age site of Frienstedt, near Erfurt in central Germany, discovered a 5-inch wide comb with runes engraved on it. 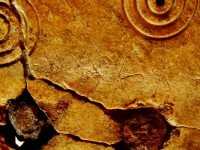 The comb dates to the 3rd century A.D., which makes the runes on it the earliest Germanic writing found in central Germany and the southernmost runes known. It’s apparently an important linguistic discovery because it’s an instance of a masculine word ending in “a” very early in the history of Germanic language. It’s a newly discovered step in the evolution from Proto-Germanic (spoken in the first century B.C.) and the West Germanic language family whence sprang today’s German, Dutch and parts of English. 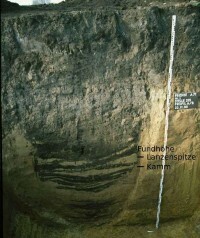 Archaeologists have excavated about half of the Friendstedt Iron Age site. 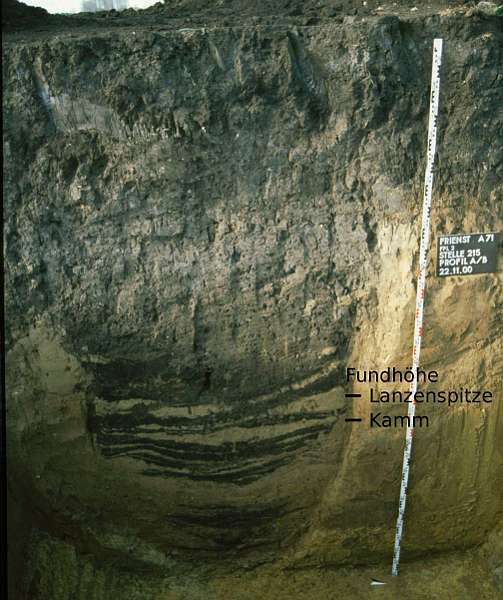 The site was occupied from the 1st to the 5th century A.D. Radiocarbon dating of pottery found in the sacrificial pit along with the comb fragments date it to right in the middle of the site’s occupation: the 3rd century A.D. The remains discovered include inhumation graves, evidence of a center of cult worship and Roman bronze artifacts a full 125 miles from the frontier. It seems likely the bronze objects were obtained north of Roman territory and then recycled by Germanic smiths. A brooch from Gotland was also discovered on the site, testifying to local interaction with Scandinavian traders up north as well as Romano-Germans down south. This entry was posted on Sunday, May 6th, 2012 at 11:53 PM	and is filed under Ancient, Treasures. You can follow any responses to this entry through the RSS 2.0 feed. You can skip to the end and leave a response. Pinging is currently not allowed. I wonder why they felt the need to label it “comb” like that? I’ve read some speculation that it was a teaching tool, like when parents put post-its labeling things around the house when their kids are learning to read. Nobody really knows, though. I think you’re on to something. I think It is mostly likely a name. It’s disgustingly ironic that FBF would be on a comb. FBF being a meme called Foul Bachelor Frog. I don’t recommend googling those.